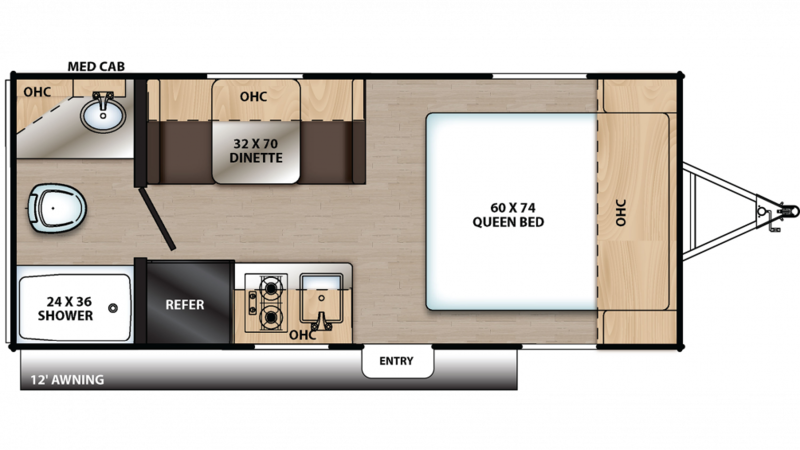 Check off every spot on your list of places to visit with this New 2020 Coachmen Catalina Summit 172FQ! This Travel Trailer is ready for the road! All Seasons RV is one of the top RV dealerships in Michigan, thanks to our fast and easy financing! Browse through our wide array of top brand models at 4701 Airline Rd Muskegon Michigan 49444, or call us at 231-739-5269 to talk to one of our RV dealers today! This rig has a GVWR of 3830 lbs. and a hitch weight of 330 lbs. You'll enjoy some much welcomed shade outside with the 12' 0" awning! Delicious, hot meals on the road are a breeze when you travel in the 2020 Coachmen Catalina Summit 172FQ, thanks to its wonderful kitchen with all modern cooking appliances, including a 2 burner range cooktop, 7.00 cu. ft. refrigerator, and more! Breakfast, lunch, or dinner, everything will taste great! The 33 gallon freshwater tank provides an excess of water to cook, drink, and clean with! Like to start your day with a hot shower, a shave, or a wash-up? Then you'll love the great master bathroom with its roomy shower and convenient Marine Foot Flush toilet! And with the hefty 33 gallon freshwater tank and an LP tank capacity of lbs, there'll be plenty of hot water for everyone! Waste and used water are stored in the 25 gallon black water tank and the 25 gallon gray water tank, respectively.